May the blessings of liberty be always in your life. Along with the comfort of really, really soft lounge pants. 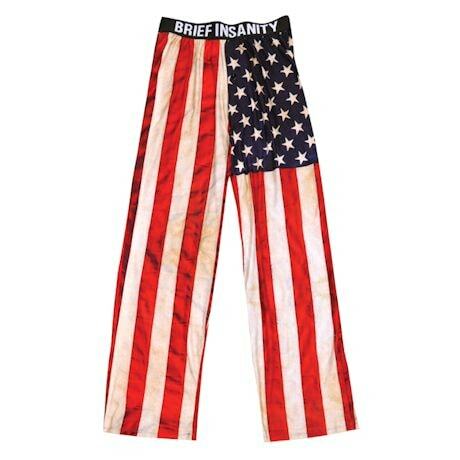 Stitched to fly a traditional USA flag on your body, these pajama-style bottoms have a comfy, wide elastic waistband and a slightly satiny sheen in the fabric weave. Machine wash. 90% Polyester/10% Spandex. Imported. M-XXL; 30"L inseam.